Having just finishing up Portishead a string of stunning NY area appearances, including headlining shows at the I’ll Be Your Mirror ATP Festival in Asbury Park, NJ and to keep the experience fresh for fans, the band is releasing a single ‘Chase the Tear’ worldwide, as a 12” vinyl release for the first time on November 14th, 2011 by XL Recordings. 200 signed copies will be on sale in advance at New York’s Independent Label Market on October 8th. The record will also contain a version of the track by Toronto’s Doldrums. 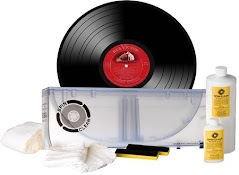 Nearly three decades after its initial release in 1984, STREET TALK, the debut solo album from Journey lead singer Steve Perry, has been meticulously remastered for a new generation of rock fans who are rediscovering the sonic wonders of vinyl. 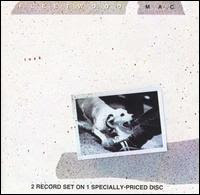 The RIAA double-platinum classic, featuring the #1 single "Oh Sherrie" (and follow-up hits "Foolish Heart," "I Believe," "She's Mine" and "Strung Out") will be available as an audiophile 180-gram LP in original artwork, starting November 1, 2011, through Columbia/Legacy, a division of SONY MUSIC ENTERTAINMENT. The LP will also come with an exclusive free bonus download of the specially mastered-for-vinyl digital files. STREET TALK by STEVE PERRY (Columbia/Legacy 88697 93882 1 originally issued April 1984, as Columbia 39334) Selections: 1. Oh Sherrie (1st single, Rock #1, Hot 100 #3) * 2. I Believe (2nd single, Rock #43) * 3. Go Away * 4. Foolish Heart (5th single, Hot 100 #18) * 5. It's Only Love * 6. She's Mine (3rd single, Rock #15, Hot 100 #21) * 7. You Should Be Happy * 8. Running Alone * 9. Captured by the Moment * 10. Strung Out (4th single, Rock #17, Hot 100 #40). STREET TALK vinyl meticulously remastered to vinyl by Robert Hadley and Steve Perry at The Mastering Lab in Ojai, California. 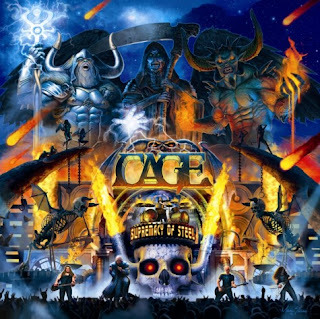 San Diego metallers CAGE will release their sixth album, "Supremacy Of Steel", on November 25 via Music Buy Mail in Europe and Heavy Metal Media in thr U.S. and rest of the world. SPV/Steamhammer will re-release VIRGIN STEELE's "Age Of Consent" album in November. This 2CD digipak reissue comes with bonus tracks, five of them previously unreleased, and a massive booklet with new liner notes and previously unseen photos. It will also be made available on vinyl for the first time since 1988. MOTÖRHEAD is scheduled to release "The Wörld Is Ours Vol. 1 - Everywhere Further Than Everyplace Else" this November 14th. It is a blistering DVD package containing live footage, interviews and some of the finest moments from the band's 2011 world tour. It's also available on double vinyl (gatefold sleeve). The release is on Motörhead Music / UDR / EMI. 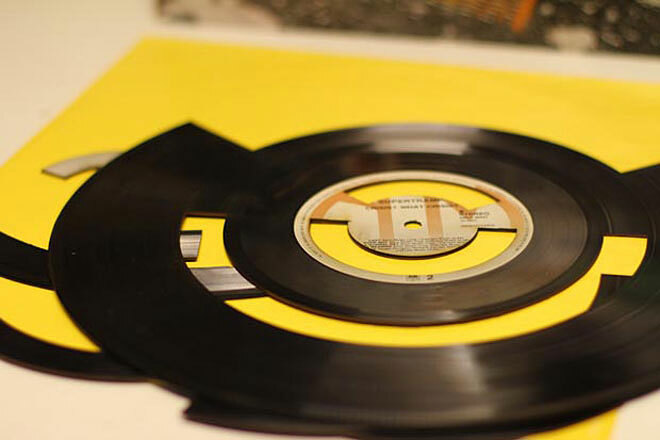 The vinyl album contains the full 90-minutes concert in Santiago, Chile at Teatro, Caupolican. "Around The Wörld Vol. 1" gives you the complete set from the band's supreme performance in Chile at the Teatro Caupolican in Santiago on April 9, 2011, shot by Banger Films. October 11th is the date that legendary rockers ZZ Top will be celebrated with the release of an album called 'A Tribute From Friends.' Paying their respects to Billy Gibbons, Dusty Hill and Frank Beard are a disparate group of talents, all of whom have their way with classic ZZ Top tracks. 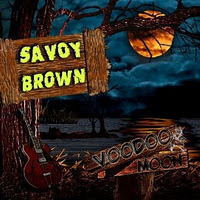 ATLANTA, GA – Ruf Records announces the signing of legendary blues band Savoy Brown, and will release its debut CD and vinyl album for the label, Voodoo Moon, on November 8. 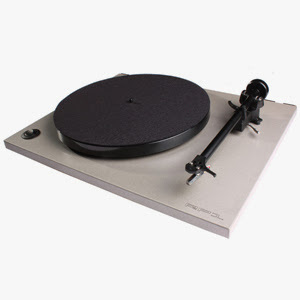 Ruf Records is distributed in the U.S. by the Allegro Corporation. Led by founding member and lead guitarist Kim Simmonds, Savoy Brown will celebrate the new album and its 45th anniversary with a series of CD party shows, including a very special concert at B. B. King Blues Club in New York City on October 7. The nine all-original songs on Voodoo Moon should establish many new audience favorites at the band’s concerts and on the radio, especially the blues-rocking track, “She's Got The Heat." The album also includes an instrumental titled “24/7” that absolutely smokes from start to finish. Savoy Brown has cultivated a long list of former members in its 45-year existence who have gone on to additional glory, including guitarist “Lonesome” Dave Peverett, drummer Roger Earl and bassist Tone Sevens, who went on to form ‘70s platinum rock band, Foghat. The band has also had a lineage of strong vocalists, including Chris Youlden and Dave Walker, among others. And in “The Boogie Brothers” side project, Simmonds teamed up with Stan Webb, guitarist/leader of Chicken Shack, and singer/guitarist Miller Anderson of the Keef Hartley Band. Their album catalogue includes such classic, acclaimed releases as Blue Matter, A Step Further, Looking In, Raw Sienna and Street Corner Talking, among many others. In case you live under a rock shaped like an Ogg Vorbis file, vinyl is making a comeback. More artists are putting pressing their albums as long-players, members of a younger generation are discovering their parents’ record collections, and independent record stores everywhere have been catering to the developing trend. Despite the closure of longtime Toronto staples Sam The Record Man and Criminal Records, there are still plenty of great places in the city to get new, rare, and used records. 2. Wanda Jackson - You Know I'm No Good 7"
3. Wanda Jackson - Thunder On The Mountain 7"
7. Wanda Jackson - Live At Town Hall Party 10"
8. Those Darlins - Screws Get Loose (extended version) 7"
9. Denney & The Jets - Killin' Machine 7"
12. Lanie Lane - Ain't Hungry 7"
19. Nick Lowe / Robyn Hitchcock - Heart Of The City / Sicky Boy 7"
In 1958, Billboard magazine runs an article that states "payola, that under-the-turntable device whereby record companies win plugs and influence disc jockeys, is fast growing into a monster that may yet destroy its creators. According to key record execs, jockey payola is so widespread that it's no longer possible to measure its effectiveness." Disc jockey Alan Freed's career will soon be ended by the scandal. In 1965, Gary Lewis and the Playboys entered the studio to record two of their biggest hits, "She's Just My Style" and "Sure Gonna Miss Her". In 1966, British rocker Johnny Kidd was killed in a car crash in Manchester, England, at the age of 26. The car was being driven by the husband of the secretary of his fan club. Although he never made a dent in the US record charts, Kidd had several hits in the UK. He is best remembered on the North America music scene for writing The Guess Who's 1965 chart debut, "Shakin' All Over". In 1967, the police shut down the Matrix Club in San Francisco during a performance by Big Brother & the Holding Company. 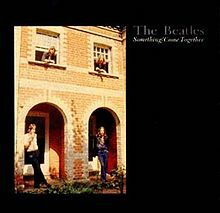 In 1969, "Come Together" / "Something" was released as a double A-side with "Something" and as the opening track of Abbey Road. The single was released on October 6,1969 in the US (October 31, 1969 in the UK). "Something" was the first song written by Harrison to appear on the A-side of a Beatles' single. In 1976, the insipid cut "Disco Duck" by Rick Dees and His Cast of Idiots received a gold record. The song became only the fourth single to be certified platinum in December of 1976. In 1978, Johnny O'Keefe, who has often been called the undisputed King of Australian rock and roll with twenty-nine Top 40 hits to his credit in Australia between 1959 and 1974, died following a heart attack induced by an accidental overdose of prescribed drugs. He was 43. "Heartache Tonight" by the Eagles was released in 1979. In 2005, a Rolling Stones concert at the University of Virginia, in the U.S,. was halted eight songs into the show at the Scott Stadium after police received a bomb threat targeting the stage area. A 45-minute police sweep of the area found nothing unusual, and the band completed the show. The Stones were touring to promote their latest album, A Bigger Bang. In 2009, the KISS album 'Sonic Boom' was released exclusively at Wal-Mart. In 2010, A set of John Lennon's fingerprints were seized by the FBI from a New York memorabilia dealer who intended to sell them for $100,000 minimum bid. The prints were taken at a New York police station in 1976 when Lennon applied for permanent US residence. The bureau believed the card was still government property and was investigating how it landed in private hands.